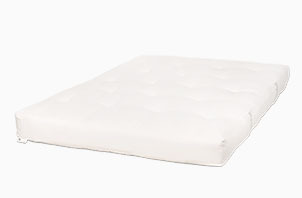 In general, a latex futon is a futon that contains latex, usually in form of a latex core. Our futons mostly contain a latex core or several, with the latex always being made of a 100% natural rubber without synthetic or other additions which are meant to make this difficult material easier to process at the cost of some of the elasticity. The latex used in our futons has a high density (>85kg/cbm), making it last for a very long time without making the futon soft but elastic. 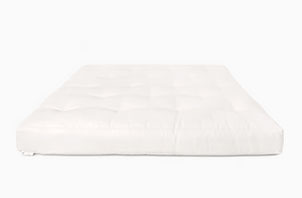 This permanent elasticity keeps the fibres (cotton, virgin wool, horsehair / coconut) inside the latex futon moving and thereby also elastic for longer. Latex futons suit our culture more than pure cotton futons and a latex futon of our quality satisfies almost every Central European. 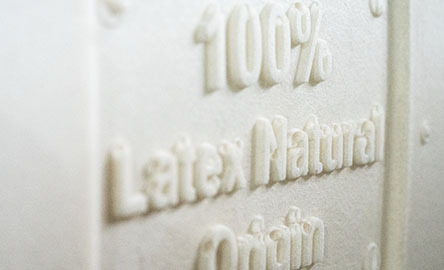 If you would like to find out more about the natural latex inside our futons, please look for natural latex on our materials page. 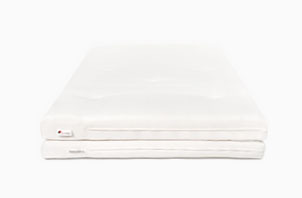 If you would like to find out more about our latex futons, take a look at our latex futon products.